This week I’m joining “Photo Friday” at Delicious Baby! Sand boarding. 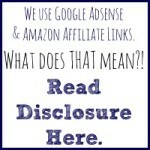 Have you heard of it? It’s what you do when you huff and puff your way up ridiculously tall sand dunes and then scream like a little girl as you fly down on a tiny boogie board. I had sand in places I didn’t know existed after this little joyride. Before you add this to your travel bucket list, I should mention that (like a lot of extreme sports), at least one person has died doing this. 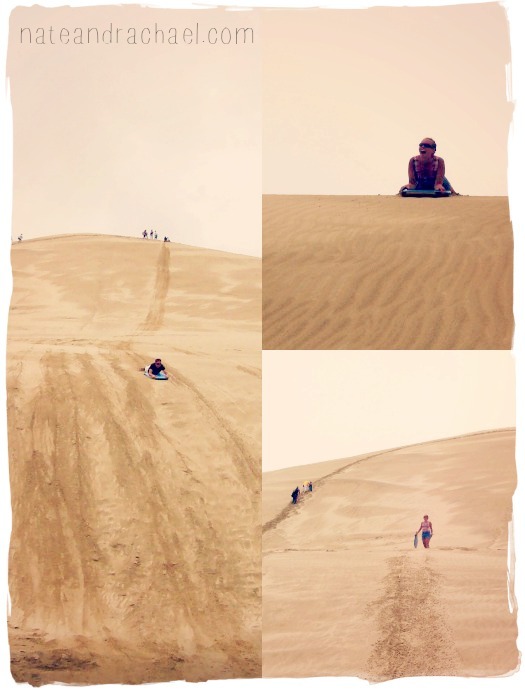 We went sand boarding during our five-month adventure in New Zealand. It was after we finished a ten-day bike trip and before I got food poisoning from not letting my chicken cook long enough on a hot lava rock. 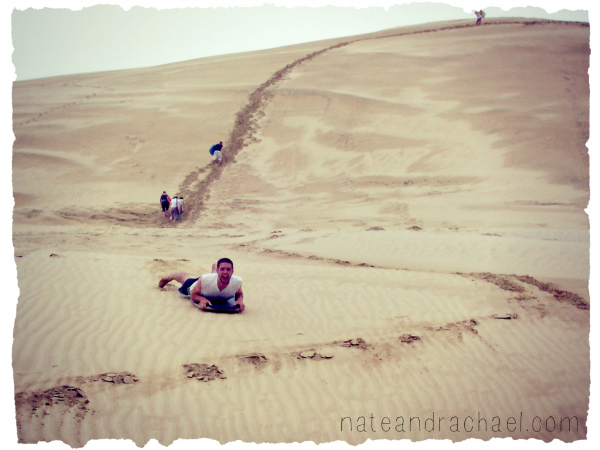 And even though sand boarding was in the Nate and Rachael Pre-Kid Era, I would still do it again today. I assume you can sand board in other places besides New Zealand. (Right?) Have you been? Would you want to go? Yes! My husband and I went sand boarding in Northland, NZ on our honeymoon. Fun! But super hard work climbing up!!! Welcome to Photo Friday! 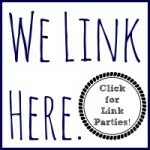 I love checking out everyone’s blogs every week. Sand surfing looks like a blast – it seems like there would be too much friction to get any speed though! I’d love to try it! Welcome to Photo Friday! I love reading everyone’s blog posts. Sand boarding looks like a blast – I’d love to try it!